Description You may qualify for the following potential rebates: $1,000 - 2019 Retail Bonus Cash CACKA1. Exp. 04/30/2019, $750 - 2019 Retail Non-Prime Bonus Cash **CK1V. Exp. 04/30/2019, $1,000 - 2019 Retail Consumer Cash **CK1 (excl GL-SW-WE). Exp. 04/30/2019, $1,500 - California 2019 Bonus Cash CACKA. Exp. 04/30/2019, $500 - Freedom Days Retail Bonus Cash 40CK7. Exp. 04/30/2019 Pricing includes $500 discount for dealership obtained financing. FREE LIFETIME POWERTRAIN WARRANTY INCLUDED ON MOST VEHICLES! For special VIP treatment and Internet Specials, call or text Internet Sales Manager, Jim Hamby your first and last name, and vehicle of interest to (559) 481-1253 or call (559) 674-5661 and ask specifically for Jim or Crystal in the Internet Sales Department. Due to high crime rates in California, our vehicles have been etched for your security at an additional cost of $349 and most have high security wheel locks installed for $149. 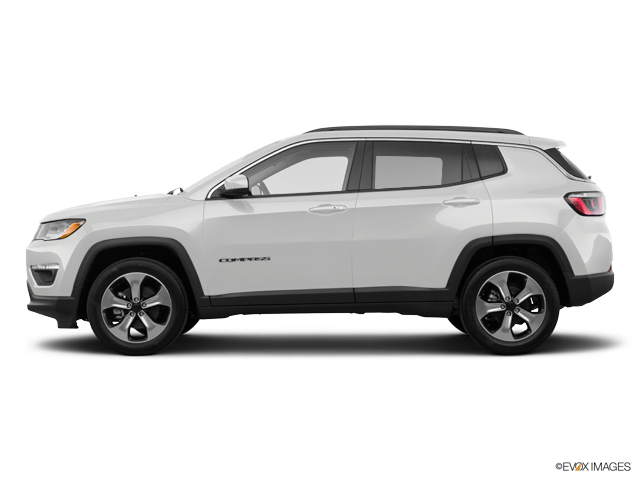 White Clearcoat 2019 Jeep Compass Latitude FWD 6-Speed Aisin Automatic 2.4L I4 22/31 City/Highway MPG Make sure you ask for the Internet Sales Department anytime you call or visit the dealership to take advantage of special internet VIP customer savings! Lifetime limited warranty, exclusions apply. See dealer for complete details.